The modern world is all about staying connected and entertained from the moment you open your eyes to the second you go to sleep. Because of these demands, all the members of the Southern California Ford Dealers put a great deal of emphasis on cutting-edge in-car technology. 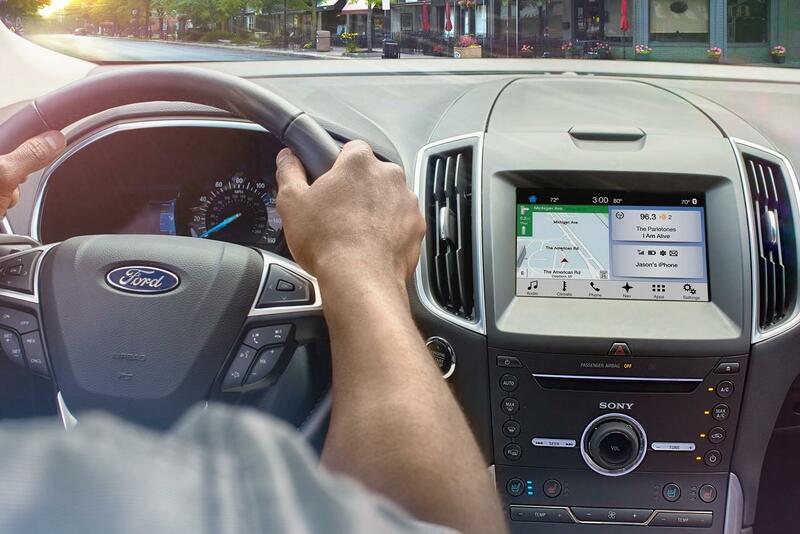 Thankfully, Ford makes our jobs a little easier thanks to the amazing SYNC 3 infotainment system. This groundbreaking infotainment system uses a combination of smart design, smart software, and smart hardware to make the driving experience more complete for both drivers and passengers. Because the dealerships in our group are so excited about the SYNC 3 infotainment system available in their cars, trucks, and SUVs, we thought it would be a great idea to take a more detailed look at what SYNC 3 has to offer. At its heart, the SYNC 3 is an exhaustive system that is easy to use. Thanks to its intuitive controls SYNC 3 makes tasks like searching for music and climate control simple with a capacitive touchscreen and enhanced voice recognition. All of this allows you to safely keep your eyes on the road while you adjust your SYNC 3 system. One of the most exciting new features for 2018 is Ford+Alexa. This new app brings the amazing capabilities of Amazon Alexa from your home to the road. When you connect the app via SYNC 3 AppLink, you’ll have access to Voice Navigation, Traffic Information, over 30,000 Skills, Amazon Prime shopping, and control of your Smart Home devices. 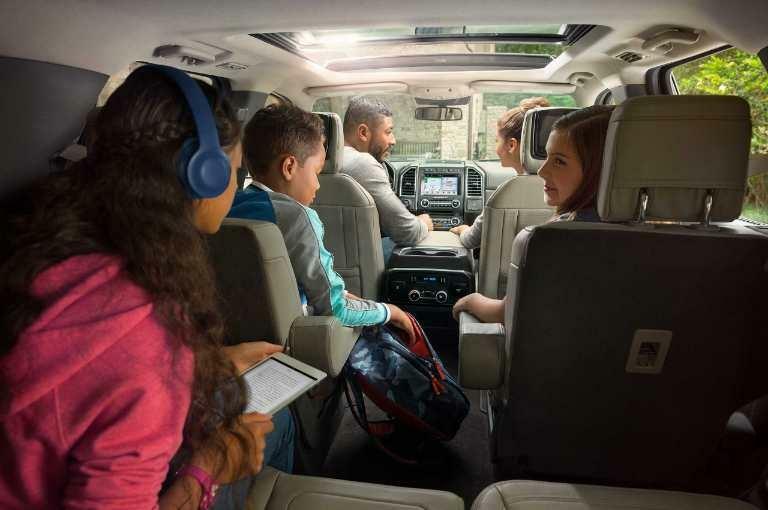 If you get a SYNC Connect-equipped Ford vehicle from a Southern California Ford dealer, you can use FordPass to accomplish a number of important remote tasks including tracking your vehicle's location. It also allows you to schedule specific times to remotely start your vehicle. To learn more about the capabilities of FordPass, we suggest visiting the Ford website or contacting your Ford dealer. One of the more exciting aspects of the SYNC 3 system, is the ability to turn your vehicle into a Wi-Fi hotspot. Some models have a 4G LTE Wi-Fi hotspot, powered by AT&T that you can connect up to 10 devices to at one time. The hotspot works up to 50 feet outside the vehicle and your FordPass app allows you to keep track of your Wi-Fi data usage. Ford owners will also be able to get SYNC 3 updates over Wi-Fi. It will hard to get lost thanks to the available navigation from SiriusXM Traffic and Travel Link. When combined with the SYNC 3 system you have access to the Easy Destination Entry feature. This makes finding even the most obscure destination easier and it is quite responsive and adaptive the more you use the system. You'll enjoy audible turn-by-turn navigation, along with continuously updated directions, weather information, traffic delays, and alternate route suggestions. The latest version of SYNC 3 includes the power of Android Auto. This gives you the power of Google and your smartphone while keeping your eyes on the road and hands on the wheel. You can safely return missed calls, make calls, and listen to voicemail, as well as send, read and reply to text messages. Another benefit is having access to Google Maps, Google Now, and Google Music. If you're as excited about SYNC 3 as we are, then it's a perfect time to experience this dynamic infotainment system in person. To schedule a test-drive, or to ask a Ford expert more questions about SYNC 3, please contact your local Ford dealership through our website today.